“Murder, magic, and romance abound.” Thank you! “Murder, magic, and romance abound, but the cats are the stars of this story. 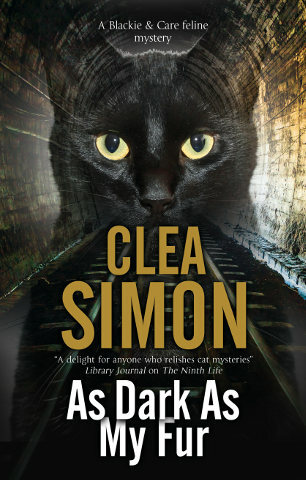 Clea has woven a rich tapestry of real and imagined qualities for her feline heroines that cat people will find authentic and humorously familiar….” So says Crazy Cat Ladies mysteries. Why, thank you! Read the full review below or here. 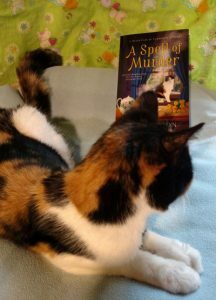 Clea Simon’s new cozy paranormal mystery, A Spell of Murder, is as captivating as a puzzle ball, a satisfying cat mystery in the truest sense. “Magic is for felines,” says Clara as she tries to dissuade Becca from becoming embroiled in things beyond her ken, but the young woman doesn’t understand. Alas, Becca is only human, where Clara is a cat! Clara is one of three feline sisters, descended from the witch cat of Salem, but Becca doesn’t know that. She’d only yielded to a whim when adopting the trio— little did she suspect that the cats had chosen her, taking on her welfare as their covert duty. 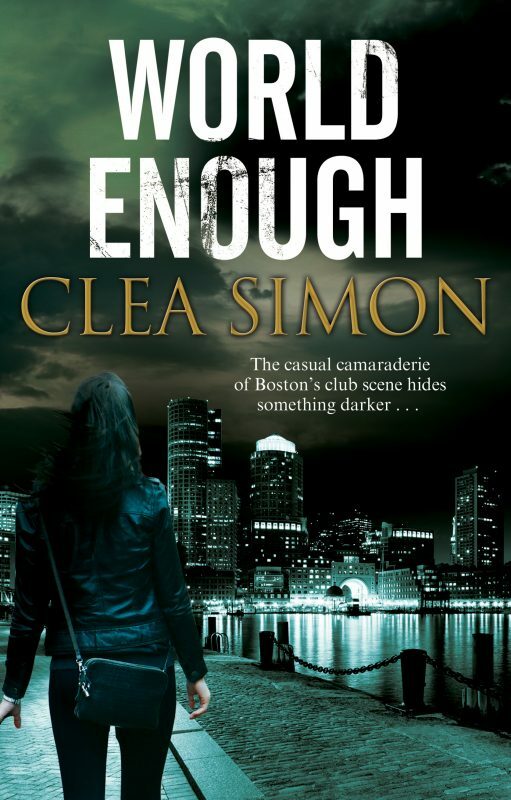 Clara, especially, will go to any lengths to keep Becca safe, but when the young woman begins to investigate the murder of a coven member, things get complicated. Can the little calico save her person without giving their secret away? Murder, magic, and romance abound, but the cats are the stars of this story. Clea has woven a rich tapestry of real and imagined qualities for her feline heroines that cat people will find authentic and humorously familiar.